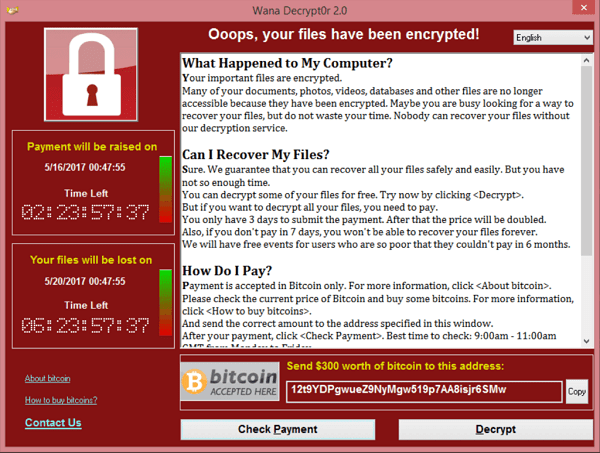 One and a half years after its epidemic, WannaCry ransomware tops the list of the most widespread cryptor families and the ransomware has attacked 74,621 unique users worldwide. These attacks accounted for 28.72% of all users targeted by cryptors in Q3 2018. The percentage has risen over the last year, demonstrating more than two thirds growth against Q3 2017, when its share in cryptor attacks was 16.78%. This is just one of the main findings from Kaspersky Lab’s Q3 IT threat evolution report. The consequences of the WannaCry epidemic were devastating: as the victims were mainly organizations with networked systems – the work of businesses, factories and hospitals was paralyzed. Even though this case demonstrated the dangers cryptors pose, and most of PCs around the world have been updated to resist the EternalBlue exploit, the statistics show that criminals still try to exploit those computers that weren’t patched and there are still plenty of them around the globe. Always update your operating system to eliminate recent vulnerabilities and use a robust security solution with updated databases. It is also important to use the security solution that has specialized technologies to protect your data from ransomware, as Kaspersky Lab’s solutions do. Even if the newest yet unknown malware does manage to sneak through, Kaspersky Lab’s System Watcher technology is able to block and roll back all malicious changes made on a device, including the encryption of files. Read the full version of the Kaspersky Lab’s IT threat evolution report on.